We're proud to showcase another beautiful work of art and function. The Blue Teardrop Wood Urn is a beautifully shaped urn with an amazing deep gloss finish that highlights the wood grain and gives it an almost liquid appearance. 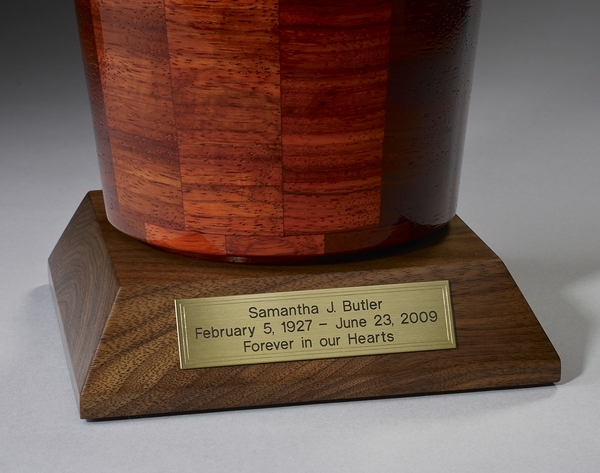 Bring home a celebration of life for your loved one with this stunning memorial cremation urn. Filling: The urn is filled from the bottom and secured with a plug. Made to Order. Please allow approximately 5-7 business days before shipping, even for expedited orders.